SAN FRANCISCO, CA – November 24, 2017 – The San Francisco Auto Show is one of sixty five events across the North American auto show circuit. There is tough competition amongst event producers and organizers to lure global automotive manufacturers to bring their top-tier product displays that attracts attendees to the show. While the San Francisco Auto Show has always been designated a top-tiered event, this past week has proven to secure that benchmark and pave the way for increased global presence for future shows. “The San Francisco Auto Show is celebrating its 60th year providing Bay Area residents a premiere automotive exposition,” said Kevin Diamond, Director of the San Francisco Auto Show. “We have humble beginnings, but through the continued support of our manufacturer partners, and their recognition of our efforts to continually improve the auto show experience, we plan to grow the show well into the future”. Criteria varies for how auto manufacturers select which shows and what products to present at each event. Designated market area (DMA) positioning, convention center space, and projected attendance are determining factors as to if a manufacturer will participate in an auto show and what level of exhibit they will bring. Some displays may consist of a select number of new-model cars with simple signage, while top-tier displays consist of full-model vehicle line-up, interactive components such as video display walls and even test drives. Heading into the final weekend of this years auto show, attendees can enjoy over one million square feet of exhibit space from over 35 global manufacturers. Interactive displays and automotive technology can be seen in several of the exhibits and test drives are being offered by 12 manufacturers. “We will always work hard to retain our top-tiered positioning in the auto show circuit,” continued Diamond. The future of auto shows is aligned with the future of the automotive industry and it is imperative to maintain our great relationships with our manufacturer partners. We are lucky to have such relationships and look forward to the next 60 years”. The San Francisco Auto Show runs through Sunday, November 26th. Friday Nov. 24 – Saturday, Nov. 25: 10:00 a.m. – 10:00 p.m.
Sunday, Nov. 26: 10:00 a.m. – 8:00 p.m.
SAN FRANCISCO, CA – November 22, 2017 – Large crowds continue to fill the Moscone Center at the 60th Annual San Francisco International Auto Show, running through this Sunday, Nov. 26. Event organizers say there is something for everyone from interactive exhibits, unique displays including classic and customized cars, and of course the hundreds of new model cars, trucks, SUVs, crossovers, vans, alternative fuel vehicles and exotic sports cars. Saturday, Nov. 18: 10:00 a.m. – 10:00 p.m.
Sunday, Nov. 19 – Thursday, Nov 23: 10:00 a.m. – 9:00 p.m.
SAN FRANCISCO, CA – November 20, 2017 — The Bay Area’s largest and most prestigious auto exposition, the San Francisco 60th Annual International Auto Show opened to large crowds over the weekend and will run through Sunday, Nov. 26th including Thanksgiving Day, at the Moscone Center. Auto Show enthusiasts have been eager to explore the newly remodeled Moscone Center which is filled with the 2018 new model cars, trucks, SUV’s, crossovers and alternative fuel vehicles on display from the world’s major manufacturers. Front and center at this year’s show are vehicles and interactive exhibits featuring the latest in design and technology. Also prominent, are the newest innovations in driver assist, safety, infotainment and connectivity technology. “We are at the epicenter of technology and design here in San Francisco,” stated Kevin Diamond, Director of the San Francisco Auto Show. “It is a natural fit for car manufacturers to display and showcase their latest innovations in current production vehicles to our huge audience”. Also of note, are the vast array of electric, hybrid and alternative fuel vehicles including several fuel cell cars. 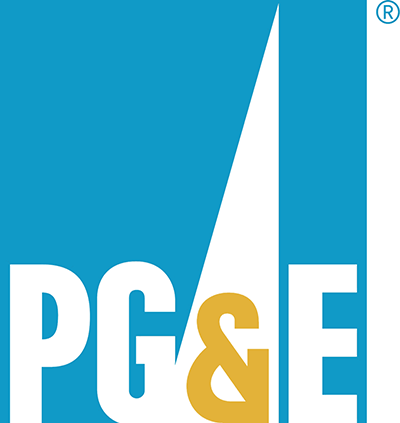 Attendees who want to test drive an electric car can do so on Monday, Nov. 20 and Tuesday, Nov. 21 at the Plug-In Electric Vehicle Test Drive presented by PG&E. Vehicles scheduled to participate include: Audi, BMW, Chevrolet, Ford, Nissan and Volkswagen. Participants must have a valid driver’s license and be 18 years old. New introductions are also prominent at this year’s auto show including some 2019 model year products. Several manufactures have also launched complete redesigns of their previous year vehicles. “The buying cycle of cars is hitting another peak and manufacturers have responded with several redesigns in their factory line-up, says Diamond, — “more than I’ve seen in years past.” That’s the beauty of the San Francisco Auto Show, you can see all these new models, some that haven’t even hit showroom floors, get inside, take in the new car smell, get your questions answered by qualified product specialists all in a non-selling environment”. The San Francisco Auto Show runs through Sunday, November 26th…including Thanksgiving Day. SAN FRANCISCO, CA – November 14, 2017 –The 60th Annual San Francisco International Auto Show will be an E-vent. With the “E” representing the latest in Electric and hybrid vehicles. More zero emission vehicles and their hybrid cousins will be featured than ever before in the displays of major manufacturers from around the world, when the San Francisco Auto Show opens Nov. 18 at Moscone Convention Center. State officials want even more EVs on the California roads, aiming to reduce by half the number of gas-powered vehicles on state roads by 2030. The goal took a hit this month when the new federal tax plan was unveiled eliminating the federal tax credit for electric vehicles. However, Assembly bill 1184, sponsored by Assemblyman Phil Ting (D-San Francisco), would reduce the adverse impact on sales, at least in California, by dramatically increasing the current state rebates on zero emission vehicles, (ZEVs). “Electric vehicles and ZEVs are our future,” said Ting. “Over the last few years, California has aggressively worked to reduce our greenhouse gases, and transportation emits 39 percent of them. “AB 1184 sits on the Senate floor ready to move forward. We are working with stakeholders during the recess and hope to find an agreement to move the bill to the Governor’s desk. With $3 billion of ZEV incentives between 2019 and 2030, I believe we can get 1.5 million ZEVs on the road by 2025 and hopefully, 5 million by 2030. General Motors supports tax credits. California is an important market for the giant car company. “California has the most EVs on the road of any state and that is due in large part to the success of the Bolt,” said Balch. Bolt’s major competitors include the BMW i3, Toyota’s Prius and Nissan’s Leaf. The 2018 Nissan Leaf has a redesigned exterior and a significantly longer range, from 80 to 150 miles, than the 2017 model, with a base price of $29,990 before the federal tax credit—an advantage should the GOP pass its tax plan as proposed. “Since it was launched in 2010, the Leaf has been the number one affordable, mass-produced EV,” said Jannelle Grigsby, Nissan’s West Coast public relations manager. Nonetheless, Nissan also supports tax credit incentives. “Nissan has made significant investments in the development of market-leading electric vehicles and public charging infrastructure to support EV drivers,” said Josh Clifton, senior manager, product and technology communications. International demand for ZEVs and hybrids will not be affected if Congress chops the federal tax credit. China, which already leads the world in EV sales, wants five million electric cars or hybrids on its roads by 2020. Norway announced in July its intention to phase out sales of all new diesel or gas-powered cars by 2025. France and the United Kingdom have announced bans on sales of new gas or diesel vehicles, starting in 2040. Volvo, which is owned by Geely Holding Group, a Chinese multinational auto manufacturer, announced in July its intention to produce nothing but EVs and hybrids, starting in 2020. To learn more about the future of EVs and hybrids, visit the 60th Annual San Francisco Auto Show. Manufacturer representatives will be on hand to answer questions. The San Francisco Chronicle 60th Annual International Auto Show is presented by Golden 1 Credit Union and supported by the California New Car Dealers Association. The show opens Saturday, Nov. 18 and runs through the Thanksgiving weekend concluding on Sunday, Nov. 26, 2017 at Moscone Center. It will feature the 2018 model vehicles representing the work of 35 global manufacturers. The San Francisco Auto Show is the Bay Area’s largest and most prestigious auto exposition and is the only auto show held regionally that lures the dazzling high-tech manufacturer displays. SAN FRANCISCO, CA – November 7, 2017 — Moscone Convention Center has risen to new heights this year. The expanded South Hall, now 108 feet tall and 255 feet long, was officially opened when Mayor Ed Lee, Supervisor Jane Kim and Board of Supervisors President London Breed cut the ribbon on Sept. 11, 2017, but the first opportunity for the general public to get inside the addition is the San Francisco International Auto Show, which opens Nov. 18. The partnerships with the city and convention center began with the 1982 auto show, which introduced the general public to the new South Hall and was cemented when the public was introduced to the North Hall at the 1992 show. More than 200,000 square feet have been added to the South Hall with the completion of Phase Two of the expansion project. Access between the North and South Halls are underground. The North Hall is the only entrance to the auto show. Test Drives, one of the most popular features of the auto show, will be located on Howard St., at the front of both halls. Major manufacturers 2018 models will be displayed in the South Hall, sharing space with classic cars from the San Francisco Academy of Arts University collection and an exhibit by Pacific Gas and Electric. Ferrari and Aston Martin clubs will also be located in the South Hall. The North Hall will feature manufacturer displays as well as exhibits by: the San Francisco Chronicle and Golden1 Credit Union. A new entrance to the Esplanade Ballroom above and behind the South Hall is part of the recently competed expansion. Modified vehicles have been exhibited in the San Francisco Auto Salon located in the Esplanade Ballroom, under the guidance of John Liwanag, since the exhibit outgrew the After-Market Alley. “Our plan was to give a younger demographic something special they would relate to, different from the manufacturers’ production vehicles or the Academy of Art exhibit of beautiful classic cars,” said Scott Diamond, assistant show manager. The center was named for late Mayor George Moscone, who successfully shepherded the project through a successful vote of the people. The center is owned by the City and County of San Francisco—the taxpayers. From its modest beginning, the center has stood the test of time, with still more to come. The final phase of construction is expected to be finished in December 2018. The San Francisco Chronicle 60th Annual International Auto Show opens Saturday, Nov. 18 and runs through the Thanksgiving weekend concluding on Sunday, Nov. 26, 2017 at Moscone Convention Center. The show is presented by Golden1 Credit Union and supported by the California New Car Dealers Association. It will feature the 2018 model cars, trucks, SUV’s and crossover vehicles representing the work of 37 global manufacturers. The San Francisco Auto Show is the Bay Area’s largest and most prestigious auto exposition and is the only auto show held regionally that lures the dazzling high-tech manufacturer displays. In 1958, unable to participate in the local domestic auto show, forward-thinking Bay Area import auto dealers decided to create their own exposition. Given the novelty and interest at the time in foreign made cars, the auto dealers’ idea proved to be a good one. For nearly two decades the Import Car Show, the precursor to what is now the International Auto Show, flourished and expanded at Brooks Hall and the Civic Center. The globalization of the auto industry in the ‘60’s and 70’s marked a new era of automotive production and demand. Therefore, the Import Car Show broadened its scope to include the products of both the domestic and international manufacturers and was renamed the International Auto Show. In 1982, the show moved into its new home at the Moscone Convention Center in downtown San Francisco. From the onset, the show was a tremendous success and recognized by the auto manufacturers as an integral component to selling their vehicles. Display space was in high demand and that demand required the auto show to expand its footprint. Fortunately, in 1992, another hall was added to the Moscone Center expanding it to a total of 1.2 million square feet. The additional space allowed exhibitors to construct more elaborate displays to showcase their vehicles and provided spectators a more spacious and inviting environment in which to view them. It also allowed the San Francisco International Auto Show to grow into what it has become today–the premier auto show in northern California and the only one held regionally that lures the dazzling, high-tech displays from the world’s major manufacturers. It is the second largest auto show in the western United States and the number one exhibition of any kind in northern California. Now celebrating its 60th year, the International Auto Show, continues to grow. This year’s show, set for November 18-26, will fill the newly remodeled Moscone Center with exhibits in the north and south halls, the new south hall expansion, the Esplanade Ballroom plus the north and south lobby and driveway areas. The latest in automotive innovation representing the work of the world’s major manufacturers will be on display at the show including the 2018 model vehicles, new introductions, the largest selection of electric, hybrid and alternative fuel vehicles plus the newest driver assist and connectivity technology. In addition, there will be exotic sports cars, manufacturer Test Drives and special exhibits including an electric vehicle infrastructure display from PG&E, the Academy of Art University Classic Car Collection, and the San Francisco Auto Salon with modified and trend setting cars. The Show will also include exhibits from the Aston Martin and Ferrari Clubs of America and an auto accessory booth area. The San Francisco Chronicle 60th Annual International Auto Show, presented by Golden 1 Credit Union and supported by the California New Car Dealers Association, promises to be the most spectacular event to date. SAN FRANCISCO, CA – November 2, 2017 — The San Francisco Chronicle 60th Annual International Auto Show will offer Bay Area residents their first opportunity to see new 2018 model vehicles from the world’s major manufacturers, all in one place. Presented by Golden1 Credit Union and supported by the California New Car Dealers Association, the International Auto Show will open to the public on Saturday, November 18th and run through the Thanksgiving weekend concluding on Sunday, November 26th, 2017 at Moscone Convention Center. The San Francisco International Auto Show is Northern California’s largest and most spectacular auto exhibition. It is the only Auto Show held regionally that lures the dazzling high-tech manufacturer displays and showcases automotive innovation. The show will feature more than 600 vehicles representing the work of 35 major manufacturers for the year 2018 and beyond. It will fill the newly remodeled Moscone Center with over one million square feet of exhibit space. Among the manufacturers scheduled to exhibit their 2018 vehicles are: Acura; Aston Martin; Audi; Bentley; BMW; Buick; Chevrolet; Chrysler; Dodge; Fiat; Ford; Genesis; GMC; Honda; Hyundai; Infiniti; Jaguar; Jeep; KIA; Lamborghini; Land Rover; Lexus; Lincoln; Lotus; Mazda; Mercedes-Benz; Ram; Nissan; Rolls Royce; Smart; Scion; Subaru; Porsche; Toyota; Volkswagen; and Volvo. In addition to the 2018 model vehicles, the Auto Show will feature: Test Drive opportunities from several manufacturers; alternative fuel vehicles; an electric vehicle infrastructure display from PG&E; exotic sports cars; the Academy of Art University Classic Car Collection; the SF Auto Salon with tricked-out vehicles, plus displays from the Aston Martin Club and Ferrari Clubs and an auto accessory area. SAN FRANCISCO, CA – October 16, 2017 — The Bay Area’s largest and most prestigious auto exposition, the San Francisco Chronicle 60th Annual International Auto Show, will run during its traditional nine-days opening on Saturday, Nov. 18 and continuing through the Thanksgiving weekend concluding on Sunday, Nov. 26, 2017 at Moscone Convention Center. Presented by Golden1 Credit Union and supported by the California New Car Dealers Association, the International Auto Show will feature 2018 model cars, trucks, SUV’s and crossover vehicles representing the work of 37 global manufacturers. The International Auto Show, the only auto show held regionally that lures the dazzling high-tech manufacturer displays, will offer Bay Area auto buyers and enthusiasts their first opportunity to see new 2018 model vehicles all in one place. The Auto Show will fill the 1.2 million sq. ft. Moscone Convention Center making it the largest exhibition of any kind in the greater Bay Area and the second largest auto show in the western United States. This year’s show will offer something for every member of the family. In addition to the 2018 model vehicles, the Auto Show will feature Ride & Drive opportunities from several manufacturers, alternative fuel and hi-tech vehicles; exotic sports cars; the Academy of Art University Classic Car Collection; an electric vehicle infrastructure and technology display from PG&E, the San Francisco Auto Salon with tricked-out vehicles and aftermarket products plus exhibits from the Ferrari Club of America, the Aston Martin Club, Dominator Hot Rods; an auto accessory booth area and much more.